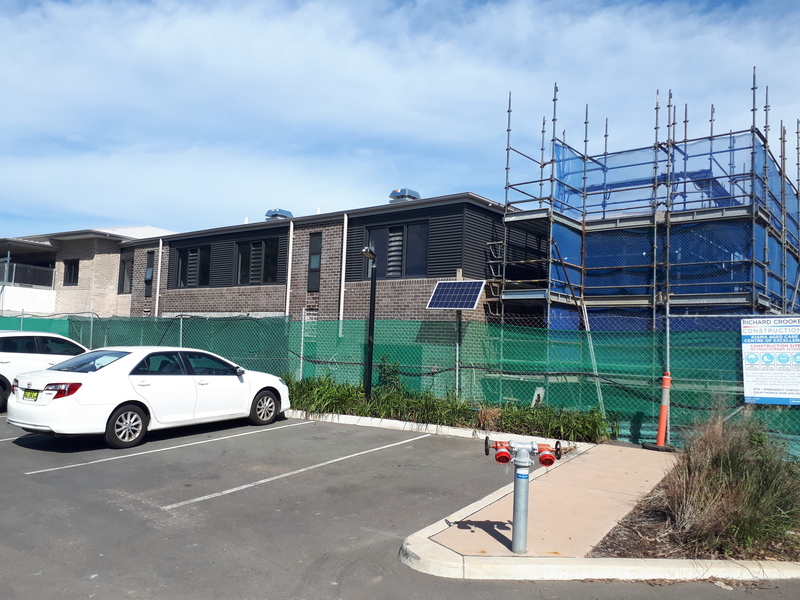 The construction of Blue Haven Bonaira, on the old Hospital site, is progressing on time and on budget, says Council’s General Manager, Kerry McMurray. The scaffolding is currently being removed from the Care Home behind the community health centre as the fitting out progresses. The ballot for the independent living units will be conducted in October, once people have had an opport-unity to inspect the finished apartments. to rank them against each other in terms of view, size, aspect and other factors affecting value,” says Mr McMurray. 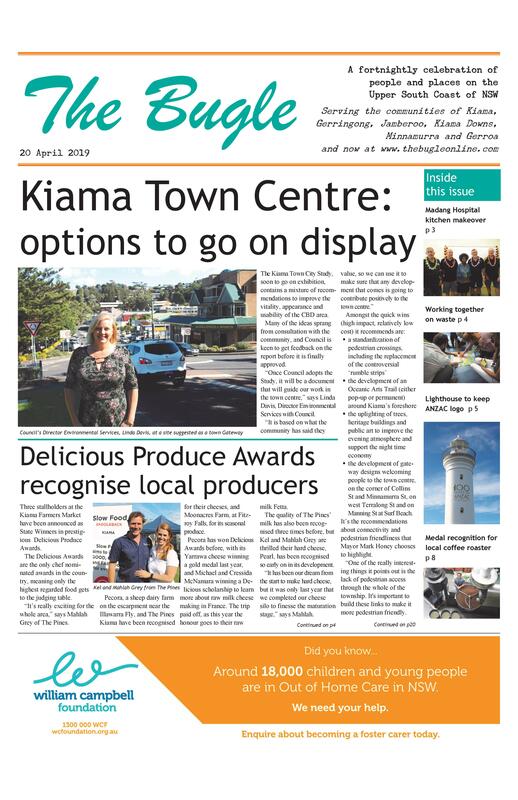 160 potential buyers, mostly locals, have already registered interest in the units, many of which have views over Kendalls Beach. “These people will be taken on inspection tours to make a decision on which units they want to be in the ballot for. While stressing that the valuations are yet to be confirmed, Mr McMurray said ballpark pricing for the units is expected to be $750,000 and above. be completed after the new components of the site. 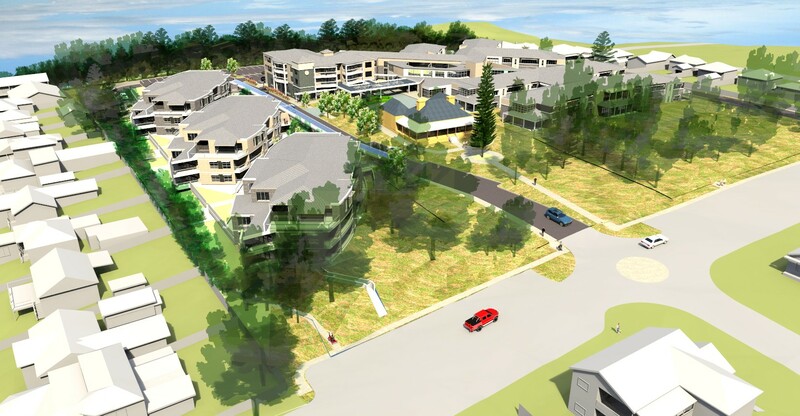 The $106 million complex contains 59 independent living units, and a care home providing accommodation for 134 residents, including a dementia unit. To give an idea of the scale of the overall development, it has a hard surface footprint (buildings and carparks) of 3 ha. Last year Blue Haven’s existing Care Home was granted accreditation for three years, after meeting all of the exacting 44 standards required. The building itself, however, needed to undergo substantial modification to meet new specifications.